Guelph Police say they are looking for these two people as part of a stolen vehicle investigation. Guelph Police say they are looking for two people as part of a stolen vehicle investigation. 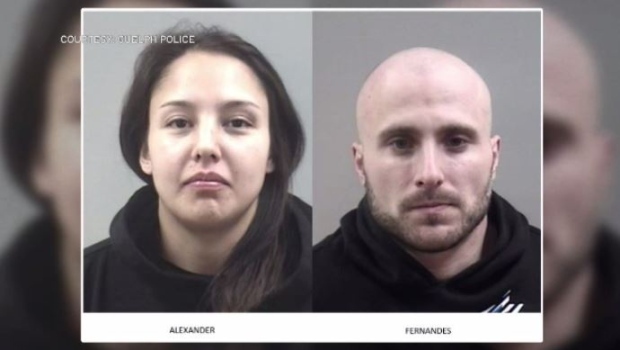 They have released photos of 28-year-old Lindsay Alexander and 31-year-old Jason Fernandes. The pair is wanted in possession of stolen property of over $5,000. Police believe the pair is connected to a vehicle stolen on August 14. The vehicle was a 2014 blue Ford Fusion with a license plate ADKD 690. They are asking anyone with information to give Guelph Police a call.